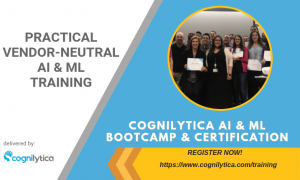 As AI increasingly gains popularity among enterprises, companies are actively seeking data scientists who possess data science skills. Many enterprises confuse the roles of data scientists and data engineers. Even though some traits, skills, programming languages and tools are shared by both roles, the overall roles and core skill sets are different and are not easily interchangeable. Data scientists employ advanced math and statistics, advanced analytics, and machine learning/AI skills to create hypothesis, run tests and analysis of the data, and then translate the results, using R, SAS, Python, etc. Data engineers, on the other hand, leverage advanced programming, distributed systems, and data pipelines skills to design, build, and arrange data to be cleaned for data scientist to further process, using Java, Python, Scala, etc. 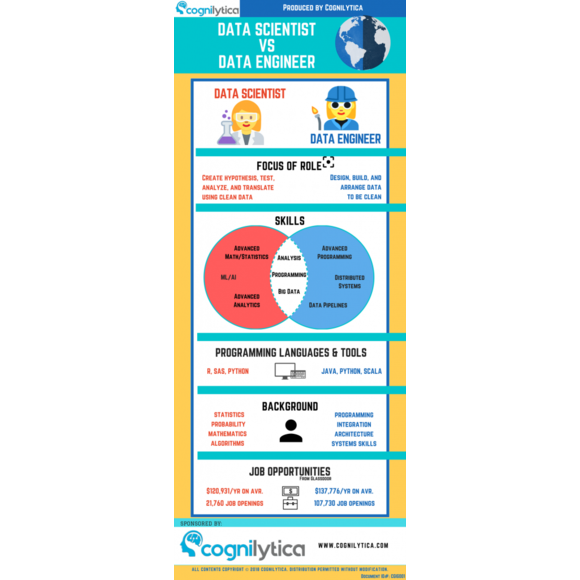 Both data scientists and data engineers share common traits and skills in the area of analysis, programming, and big data. According to Glassdoor, the number of job openings for data engineers is almost five times higher than the number of job openings for data scientists. This makes sense as most organizations need more data engineers than data scientists on their team. The corresponding infographic helps give a visual breakdown of each role including how they differ, similarities, and traits and skill sets required of both.